Doctors of BC has links to other web sites that are not under its control. Doctors of BC is not responsible for the contents of any linked web site, any link contained in a linked web site, or any changes or updates to such web sites. The inclusion of any link does not mean that Doctors of BC endorses that web site. Please be aware that Doctors of BC is not responsible for the privacy practices of other web sites that we link to. We encourage you to read the privacy statements of every web site that requests personal information from you. Use caution before answering any online requests from the Doctors of BC for your personal information and report anything suspicious to the Doctors of BC. Doctors of BC will never present you with unexpected web pages, send you unsolicited emails asking for your confidential information, such as your password, PIN, Access Code, credit card, account number, or ask you to validate or restore your account access. Memorize your Doctors of BC password and never share it with any other person or company. If you suspect it has been compromised, please change it immediately. Select a password that is difficult to guess by using a combination of letters and numbers. If you suspect your password has been compromised, please change it immediately. Never send confidential information (such as account numbers of any type, password, etc.) via email. Avoid using software that records your passwords so you do not need to enter them the next time you access a website, especially if several people use the same computer. Avoid accidentally agreeing to have your Internet activity monitored by other parties by carefully reading the terms of any software you intend to download and free services you accept online. 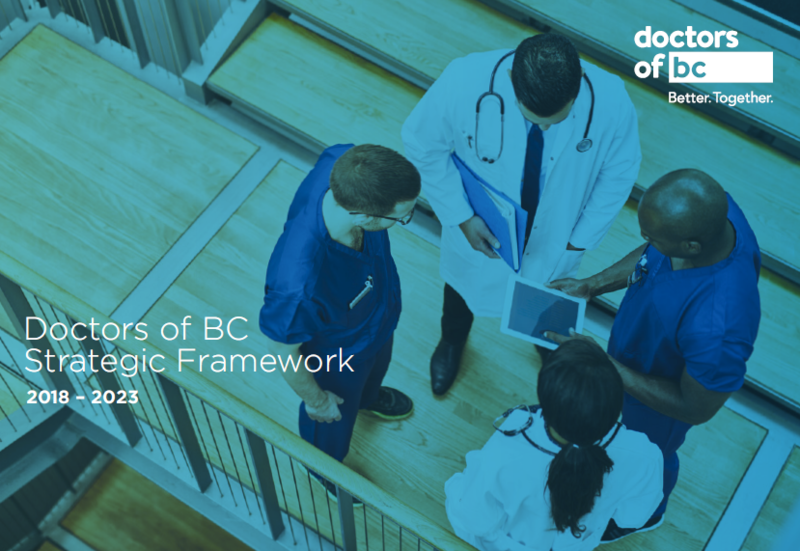 Always type the website address (www.doctorsofbc.ca) into your browser or use your bookmarked ‘Favorites’ to access the Doctors of BC Website. Do not leave your computer unattended while logged on to the Doctors of BC Website and log off when you have finished your session. Clear your browser's cache after each Doctors of BC session to safeguard your information. Each time you access the Internet, your browser automatically saves a copy of the web pages you've visited. Do not use public computers (e.g., Internet cafés or libraries) to access Doctors of BC as they could have viruses or malicious programs that record your keystrokes, or capture usernames and passwords. Review your online account transaction details promptly and report any discrepancies to Doctors of BC immediately. Computer viruses can modify programs, delete files and erase the contents of hard drives. "Trojan Horses" can capture keystrokes, including passwords or other secret information, while spyware can conduct certain activities on your computer without your knowledge or consent. Install and frequently update a proven anti-virus product. Only accept or download software from a trusted source. Never accept files or attachments unless you are sure of their authenticity. Use a legally licensed operating system. Carefully read the terms of any free services or software before you accept or download them. Do not consent to having all of your Internet browsing activity monitored as the service provider may be able to collect highly personal information such as your bank account and credit card numbers and passwords. Those with cable modem or digital subscriber line (DSL) Internet connections are particularly vulnerable, as they do not require dialing into the Internet and are described as always on connections. This allows malicious parties a continuous window of opportunity for attacking the user's personal computer. Use Windows Help to find out how to disable file sharing and prevent other computers accessing your personal computer If you choose to retain this option, exercise due care and apply appropriate security measures. Install and frequently update a personal firewall. Get computer security updates and ensure that you are using a legally licensed operating system. Enable the highest level of encryption available for your router. Change the default administrator password provided by the wireless manufacturers. Change the name of your wireless network, the SSID (Service Set Identifier) to something that will not be easily guessed and has no direct connection to you or where you are located (e.g. not your last name or street address). Switch off SSID broadcasting to hide your network from outsiders. The Doctors of BC website is fully tested before supporting new browser versions. When accessing the site, you are required to use a browser with 128-bit encryption.